Sometimes as a viewer, we see glimpses of ourselves in art. 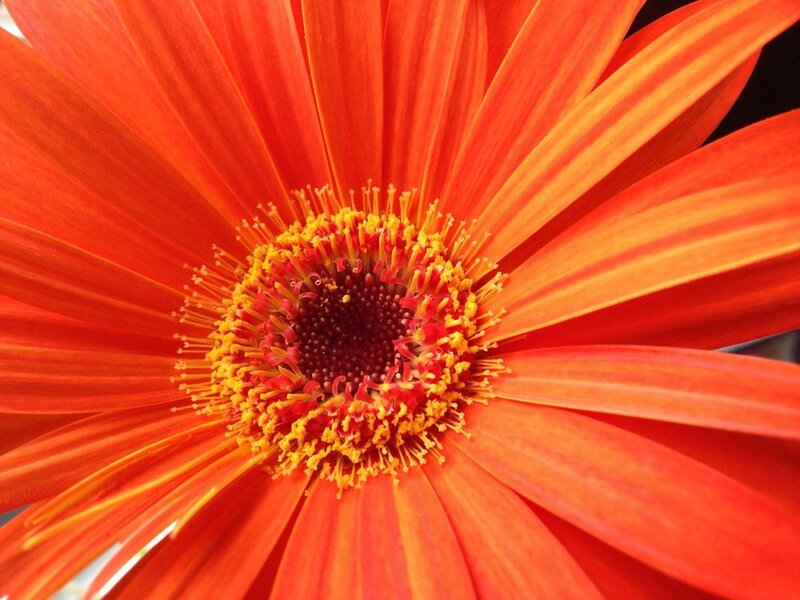 The color, the lines, the subject matter remind us of a moment in time or a thought of the future. We have an emotional or intellectual reaction to what we are viewing. To get that kind of reaction is my greatest desire in displaying and sharing my illustrations. I graduated from Rochester Institute of Technology in 1998 with a BFA in Illustration. After school I worked as a graphic artist for a few years, before life veered down a different path. I’ve recently decided that now is the time for me to get back into creating illustrations and other art work. I’m always so happy creating! Whether painting or quilting I’m constantly trying to stretch my work towards a different dimension. Photographing moments in time, and using the photos as the subjects of my paintings, provides a very personal approach. 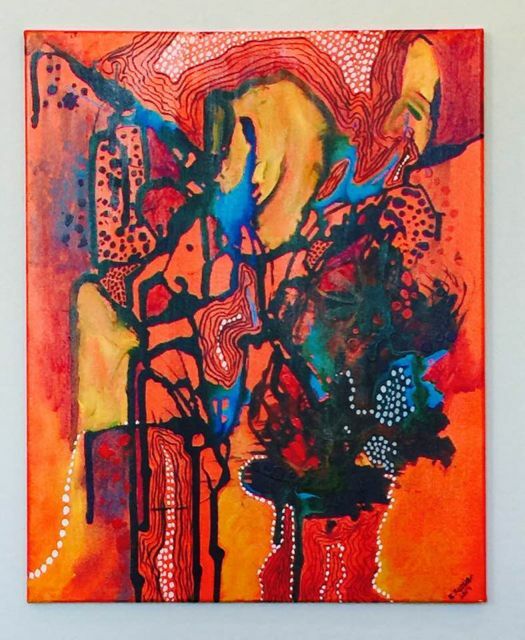 My work hovers between this method, and very abstract, Aboriginal inspired paintings. Growing up in Australia, Aborigine art has always greatly influenced and fascinated me, with its use of color, design and dot patterning. The above philosophy also applies to my approach to quilting with a greater emphasis on color use in design. I am an aspiring artist and I try to paint with a gentleness to it, soft edges and slightly realistic. My love for both nature and art are reflected in this trilogy of watercolors, with each piece having a different warm red tone to it. Primarily self-taught, my current painting style is mostly abstract expressionism, impressionism or lyrical abstraction. The works of many well-known abstract artists, such as Jackson Pollock and Joan Mitchell have been the inspiration for much of my recent work. 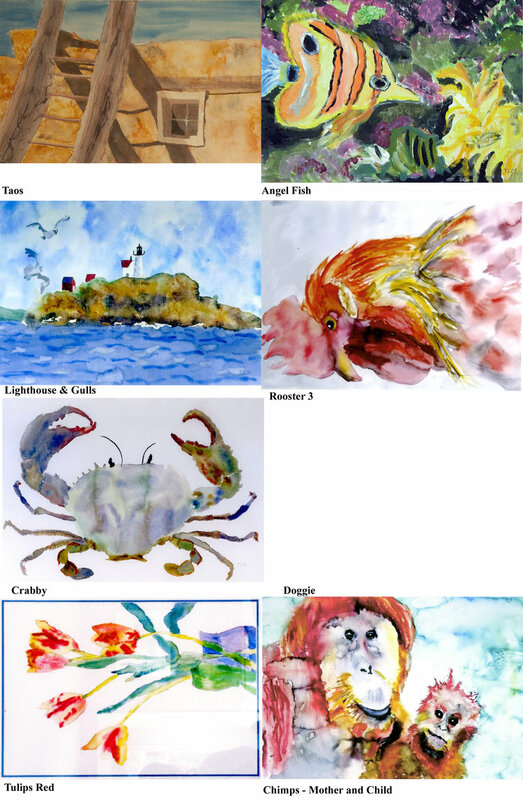 My more representational pieces reflect my love of the ocean and the outdoors. 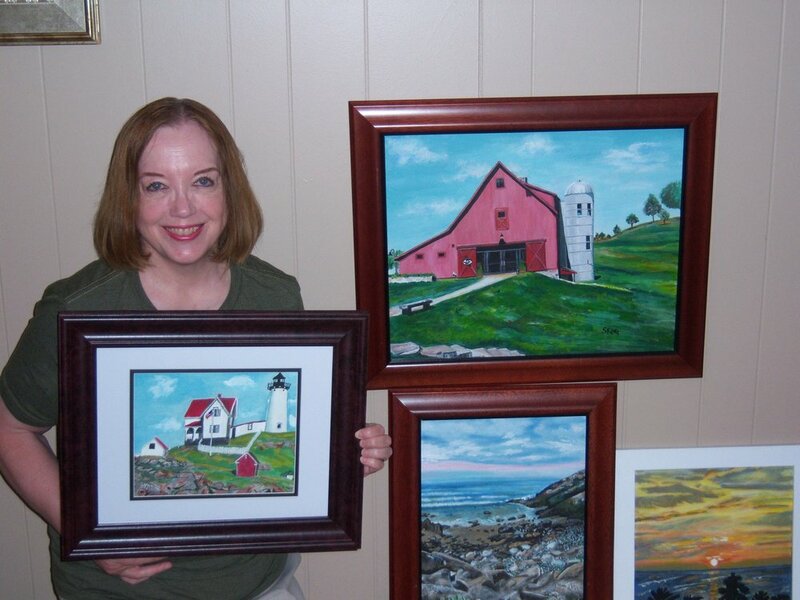 I have exhibited my art in numerous juried shows and galleries in both New Hampshire and Massachusetts. My interest is in making abstract mixed media art. My paintings often look like an aerial view of rivers, desert and mountains. They start with texture that I build up with plaster, sand, rocks and modeling paste. This I shape further by chiseling, scraping and sanding. I pour, drip, brush and push acrylic colors and gels onto the canvas. Process is my passion; the result of this passion is my artwork. Art making offers balance, a sense of calm. Patience, perseverance and passion. I am from Nashua where I live with my husband and two children. I have been creating art using many mediums for as long as I can remember. After 27 years of working in the real estate industry and I am finally able to pursue my dream and create art full time. I own Odin's Eye Studio where I focus on drawing, painting and wood burning. Being a huge comic book/sci fi nerd, a lot of what you will see from me will revolve around that genre. You won't see it anywhere else! A native of Nashua, NH and lifelong resident, I attended local schools and graduated from Rivier College with a BA in English Literature. Although my professional life centered on teaching English in local junior high schools, I devoted as much of my spare time as possible throughout my life to artistic pursuits. Over the years, I took instruction at various times from many local artists, including Kay Kandra and James Aponovich, and practiced my artistic skills in different media: pencil, pen and ink, watercolor, oil pastels, collage, and acrylic paints. I also devoted a good deal of time and study to the art of photography, which, I believe, has enhanced my skills in painting and composition. Retirement has provided me an opportunity to express myself artistically with greater intensity and concentration. My most recent work is in acrylics and pastels. I am enjoying expressing myself in both media, and have become particularly fond of pastels. I love the tactile qualities and the rich colors. 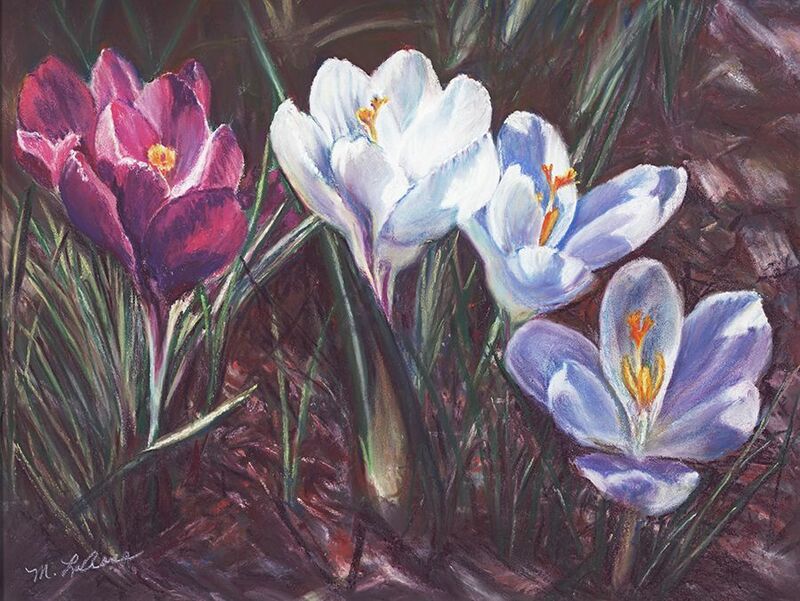 I have taken instruction from pastel artist Mary Ellen Brown, participated in workshops in floral pastel and seascape pastel painting with internationally known pastel artist Lyn Diefenbach. I exhibit my work at a few local galleries such as the Art Hub in Nashua and Wild Salamander in Hollis, NH. I frequently enter local art shows, such as the Beaver Brook Fall Festival and the ArtWalk. I have also had my work juried into five recent Grace Chapel Art Gallery exhibits in Lexington, MA. Most recently, I was one of 10 lead artists for the City Arts Nashua public art project, Comeback Kitchen Tables. 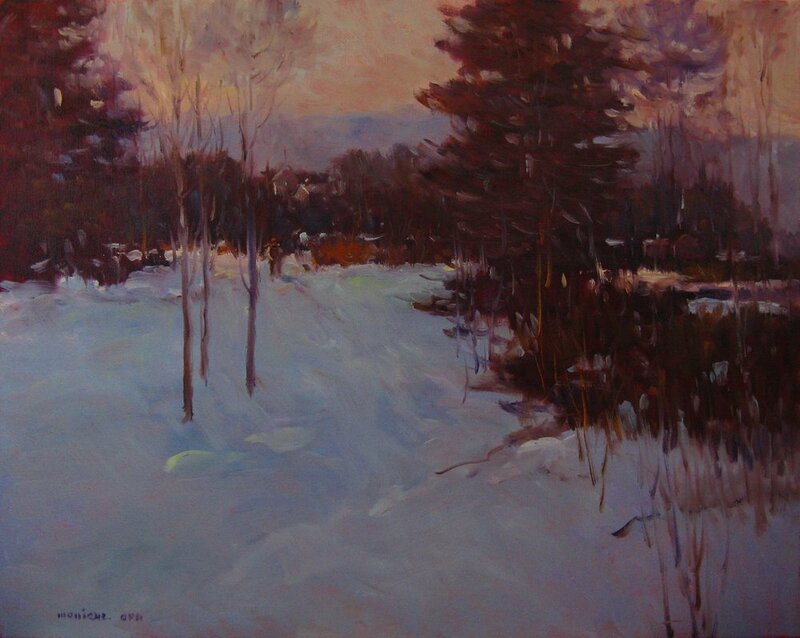 I am a member of the Hollis Arts Society, Nashua Area Artists Association and the Art League of Lowell. I'm a portrait photographer who loves shooting head shots for people of all kinds as well as photographing bands and musicians for publicity, press kit, promotional and album/cd artwork. I also love creating pictures of things related to toys, movies, video games and all kinds of pop-culture. Previously located in the Picker Building since 2004, I've recently relocated to the Picker Collaborative Artists building at 3 Pine Street in the Nashua mill yard. I have always been creative, and art has always been a big part of my life. Whether it was teaching art in school or to my children at home, I have always felt a strong connection to the fine arts. New England is full of beautiful scenes that are just waiting to be painted. With the changing of season we have so many opportunities to view beauty everywhere ... the mountains, the seas, the lakes, and farmland. I grew up in Massachusetts but have been a resident of New Hampshire for over 23 years, and I am proud to be a New Englander; I would never want to live anywhere else. As mainly a realism landscape and seascape painter, I love to work with acrylics on canvas or gouache on watercolor paper. Both provide the same rich pigments that I love in my paintings. They allow great flow, as I work each painting. It is important for me to show details and to make each painting as realistic as I possibly can. The beauty of each scene is in the truthful, realistic beauty of its simplicity. I do not enhance what I see by painting anything imagined...no perfect grass, maybe a broken fence post, possibly a water line on a sea wall. To me, the beauty is in what is actually seen, and that’s what makes each piece truly realistic. 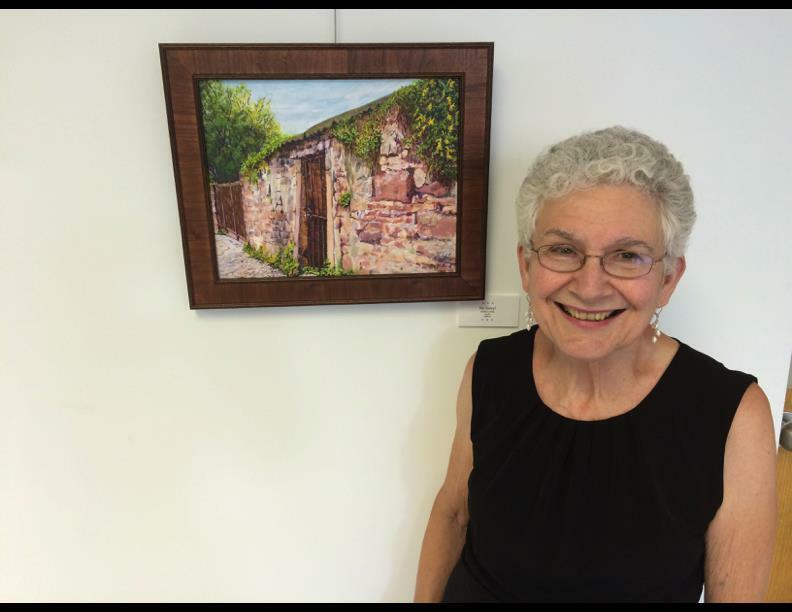 I am a member of the Nashua Area Artists’ Association where I exhibit at their ArtHub Gallery on an ongoing basis. I have exhibited at the Beaver Brook Association’s Fall Festival in Hollis, at ArtWalk, at the NAAA exhibit at Rodgers Memorial Library, in Hudson, the “Flower Power” exhibition at Grace Chapel’s Art Gallery in Lexington, MA, and the “Everything Small” exhibition at Amherst Town Library. I recently, took part in City Arts Nashua’s “Comeback Kitchen Tables” project for the NAAA, by painting a chair for the NAAA table and by a painting of Greeley Park’s Stone House, which was part of the table top. Recently, I was delighted to be City Hall’s “Artist of the Month” for August with my “Summer Time in New England” theme. Everything that I see around me is a possible subject for my photos. Most of my photos are taken in my own back yard. They are usually familiar objects and nature that are interpreted from my own point of view. I hope my art will inspire and encourage folks to stop and take a closer look and to admire the world around them. I am a writer and singer/songwriter and I try to infuse these ideas into my songs and poetry. I am an artist in Merrimack and my photos were recently on the cover and featured in the summer edition of the NH Poetry Society's publication of "The Touchstone". I have always been aware of gourds and one day a few years back, I was curious as to whether or not I could grow a good gourd in the northeast. I have a hot sunny yard so I thought it might be worth a try. Well, it was, who would have thought I could grow such lovely gourds with our short growing season? Okay, now that I have gourds, what do I do with them? I scrubbed and dried and had serval beautiful organic objects, and now what? Experiment!! I’ve always experimented with arts and crafts, and work in more than one medium, so I began learning new techniques, combining them with techniques already know. I don’t want to cover gourds in paint. I want to retain their tactile, organic quality. So pyrography and leather dyes seemed the way to go. Now I include watercolors, stains and alcohol ink and am developing a new technique to use on ornaments. Using polymer clay is an interesting juxtaposition and handmade paper seems natural. I plan to use fused glass in the future. I also have discovered the fun of combining different gourd pieces together to make teapots, containers and even jewelry. Whimsy reared its head and along came fairy houses and figures. I have worked with textiles, knitting and crochet, quilting, fused glass, polymer clay, handmade paper, doll making, and probably a few things I’ve forgotten about. My work resides in private collections around the world and across the US. 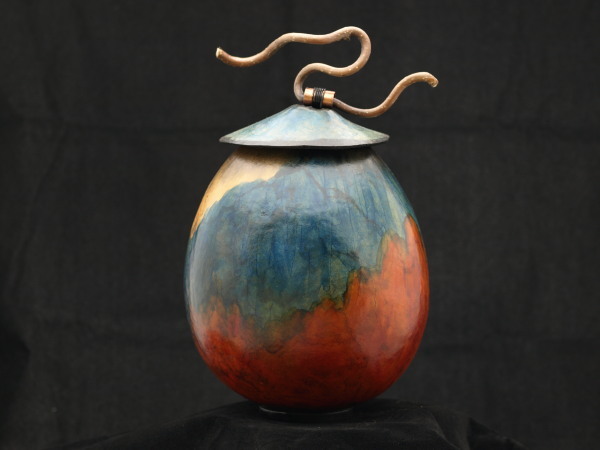 I also have consecutively won Best of Category at the Brunswick (ME) Outdoor Art Festival, was nominated for the Martha Steward Made in America Contest in 2013, and was featured in a segment on NH Chronicle. 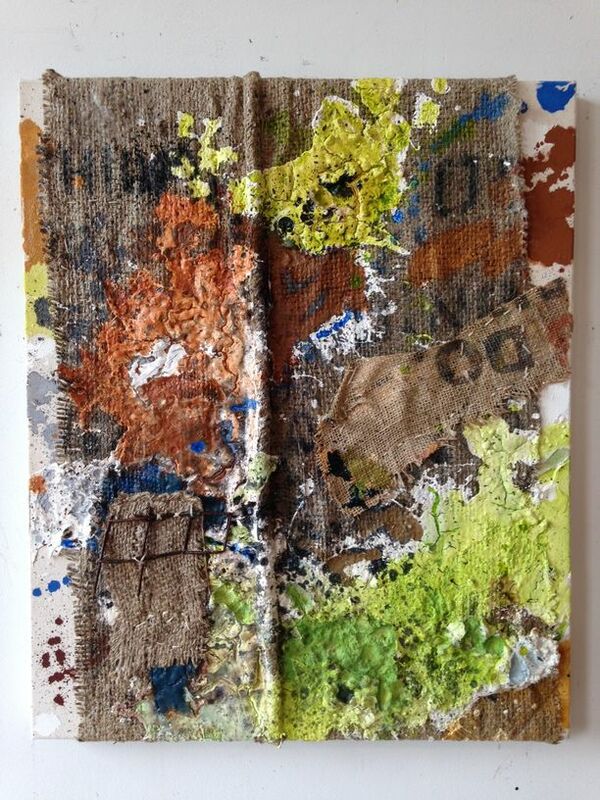 I am a visual artist currently working out of my studio in New Hampshire. Born and raised in Oxford, Mississippi, I was introduced to the colorful southern arts at a young age. I then lived and practiced art in St. Louis, Chicago and the Pennsylvania Academy of Fine Arts in Philadelphia, drawing influence from urban art culture. My work ranges from contemporary realism in the forms of painting, sculpture, and drawing, to commercial murals and chalk art. I create paintings, photos, drawings and mixed media artwork. By experimenting with aleatoric processes, I formalize the coincidental and emphasize the conscious process of composition that is behind seemingly random work. My thought processes, which are supposedly private, highly subjective and unfiltered in their references to dram worlds, are frequently revealed as assemblages. My work is based on formal associations which open a unique poetic vein. Multilayered images arise in which this fragility and instability of our seemingly certain reality is questioned. The natural beauty that surrounds me is my greatest influence, the human form, the facial structure, the arch of a tree branch. I long to push these elements to their limits and to bring my subconscious to life through pain, combined with a plethora of other mediums. The human form is captured with a somber sense of whimsy that is unlike that of our world. What begins as an attempt to achieve beauty and distinction is distorted into a protest against stands of any kind as I allow the paint to do as it pleases on the canvas. I strive to follow these seams of hidden layers and connections to take me from simple portraits to exploring the aspects of the human condition. By coupling the standard idealization of beauty with a deep, haunting melancholy, I depict the torments that can lie just below the surface of what appears to be a shallow subject matter. I mainly use monochromatic color schemes with the occasional splash of metallic and earth tones within my pieces in order to take the focus out of the details and create a simplified journey for the viewer to search for individuality. My work is made to bring up the emotions, ideas, and opinions of the viewer by forcing self-exploration and internal dialogue. I am a silversmith who enjoys creating one-of-a-kind pieces of wearable art. My specialty is designing and crafting custom pieces of jewelry commissioned by customers here in NH and across the country. I worked for the nine years in my studio in the Picker Building and now my studio is part of the Picker Collaborative Artists. “Mystical”... “Spiritual”... are some of the responses to my work. But, I am not a mysterious person. For me the work is about the edges of seeing and the way an image appears or reappears on the periphery of an edge. In my paintings I use oil paint and transparent glazes because of the sensitive quality of the medium and the nuances of value I can achieve. My work is color, light and shadow, and value relationships that are in and about the square. Focusing on the square eliminates any vertical or horizontal elements or narrative suggestions. The subject is deceptively simple. One shape diffuses into its background allowing another to move to the foreground in a soft shift of color and value. I like the subtle way the relationship of foreground and background changes as one looks at the painting. The “atmospheric,” “mystical” movement is created by the eyes’ optical journey through the work. My childhood interest in art matured into a love of painting natural landscapes by my late twenties. I draw inspiration by carefully observing the simple and beautiful characteristics of nature and then creatively express them in many ways using varied media – acrylic, watercolors, oil, paper, clay, wood, etc. I am largely a self-taught artist, with a passion and joy for travel and photography that inspires creative expression in my artwork. I am an active member of many Southern NH & Greater Boston area art associations, inspiring and getting inspired by other co-artists. I became fascinated with marionettes at age six when I saw one in a toy store window. For my seventh birthday I received a marionette stage and a marionette and learned how to manipulate the string puppet by instructions on the box. I began performing for neighbors then expanded to performing at a plaza, classes, day care centers, libraries, events, parks, parties, nursing homes, and so forth. Over the years I received more and more marionettes as gifts, then as an adolescent learned how to make marionettes myself, having created about a dozen. I used my own and marionettes made by others in my performances, with all original content and live voices in the shows. About five years ago I incorporated some hand puppetry as well. I sometimes work with an assistant, and recently consulted with Lois Amidon and Judith O’Hare about my shows. In 1990 I became interested in painting, starting with acrylics then studying watercolors under Suzanne Binnie for several years. I now create with acrylics, watercolor and mixed media and study with Marilene Sawaf. Many of my paintings have been in art exhibits and some have won awards. Many are available as prints and cards. To summarize, I use color, creativity, variety, and originality in my puppetry and painting to lift people up. As the discoverer of a process, a new form of 3D Art that generates color projections off a flat canvas when 3D glasses are worn, I have been creating art professionally for more than decade. Under the business name of Gidgeworld.com, the brilliant pallets in my on line art gallery can be enjoyed. I am also a NH state legislator and have introduced Bill 279 to study the Economic Impact of the Arts and culture. Bill 279 will give documentation to help to convince the public that when they celebrate, attend, invest in the arts and artists, it’s not just their hearts that are enriched, it has a significant impact on New Hampshire’s economy. When visiting my studio and gallery at Studio C in the new location at 115 Main Street, Suite 302 you will find a diverse collection of award-winning photography including abstract imagery, travel, night sky, sea and cityscapes and more. In addition to my commercial advertising and fine art photography, I teach photography and conduct several workshops annually. Primarily still life paintings in the style of contemporary realism, I paint in both oil and pastel. I also have a selection of plein air paintings I have done out and about locally. I am a sculptor of cloth and paper mache. I enjoy creating and bringing to life fantasy creatures. Many of the materials I use are simple or recycled items: cloth, newspapers, and wire hangers. I sculpt the piece of paper mache and give it a cloth skin, then use an airbrush to add color. You’d be surprised how strong my critters are! This is my third year at the Art Walk and I was pleased to be selected to do the Venetian Mask sculptures in front of the Hunt Memorial Building. Come find me at 30 Temple Street and adopt one of my creatures for your very own! I am a visual artist working intuitively in acrylic, oil, encaustic, and clay. I am inspired by the everyday things I see around me . . . memories of passing moments . . . feelings that cannot be conveyed by words. Somehow they are translated into the nuances of my work through color, form, composition, and marks. Executed on canvas, but playing with semi-transparent surfaces like matte Dura-lar, my media explorations include ink, graphite, carbon dust, gouache, watercolor, acrylic, pastel, pen and color pencils to press layering ideas and push images as far as possible. My work stands on its own singly but can be combined, multiplied and/or layered. I believe much of my work is best considered in multiples, and it is my vision to install “like” works on entire walls to create large-scale interpretations. Organic both in genesis and in resultant effect, my work is born of years of obsessive mark-making exploration.